Pre-race: 5:00am and smiling somehow! What a weekend! 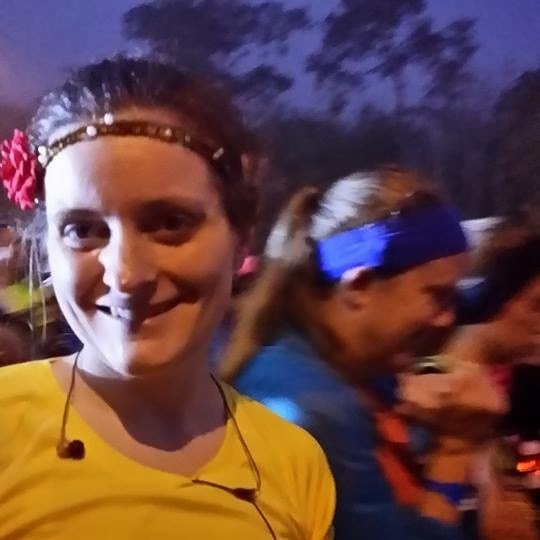 I just returned home from running the Disney Princess Half Marathon in Walt Disney World. GREAT experience! There's no better way to see Epcot and Magic Kingdom than on foot as you're blazing (okay, run-walking) through it. I highly recommend it to anyone who wants to know (and some who really could care less, but are within earshot). One of my favorite parts, though, was the Expo. For anyone who hasn't run a race before, that's usually the location where you pick up your race packet (shirt, bib, etc) and visit various run-related vendors. Like everything else Disney does, it's no small event. My co-runners and I spent several hours in the Expo over the course of two days, enjoying samples, stocking up on tech tees, and drooling over Princess Half Marathon-themed merchandise. 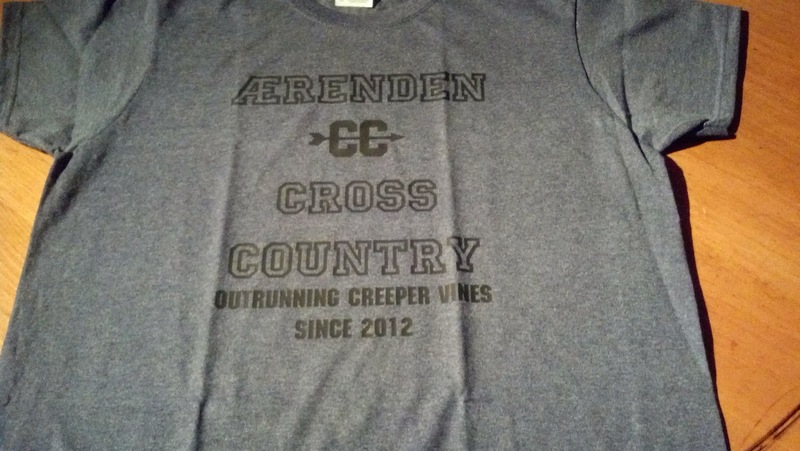 Which, of course, got me wondering: What would Ærenden merchandise look like? I know, I know. I'm a long way off from ever getting any merchandise for my books, but a writer can dream, can't she? Of course, I love the shirt my editor made me for my birthday a couple of years ago (pictured); some day I'd love to offer those as giveaways or for sale. And Meaghan and Nick dolls (like Divergent's Tris and Four) might be fun, but what else? I'd love to know what you think!